Hi! I'm Heidi Morse, member of the "little white church with the red door", on Ashworth Road in West Des Moines. You might have driven by our church when our members were selling sweet corn. You know the one- Maple Grove United Methodist Church. 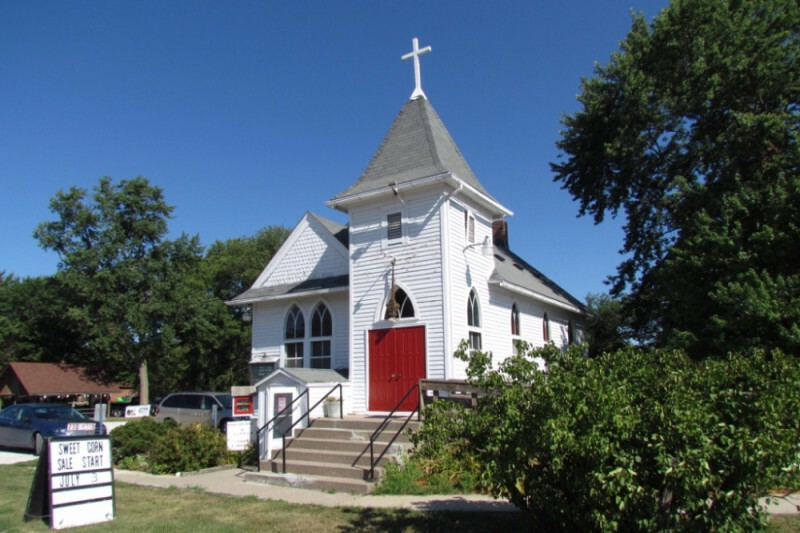 With the expansion explosion in West Des Moines/Waukee and the widening of Ashworth Road, this small, historical little church will be moved back about 300 yards from its current location. In addition to relocation, we have plans to restore and preserve our little historic chapel. We can't do this alone! We need your monetary help. Funds received will directly go to construction, restoration, maintenance, and moving costs. We plan on moving the church within the next 2 1/2 years, so your monetary support for our small but mighty church will be greatly appreciated. Our dedicated congregation gives back to the community in so many beautiful and helpful ways. Please help us so that our congregation can also expand our mission to reach out to our growing community. I am administering our fund raising project through gofundme.com for our church and was wondering if you would help. If you have any questions, please let me know. Here is a current list of all of our donors! Thank you again for your generosity: Edward Austin, Chelsea Rae Parker, Heath and Kim Hinkhouse, David Vidrine, Kim Lewis, Sarah E Smith, Nancy Applegate, Bob Schimmelpfennig, Susan Sandholm-Petersen, Carmen Smith, the late Ronald Cayler, and Nancy Workman. Great news! We have our first donation! Thanks for your support and generosity!